The old ‘put me in coach’ saying could possibly be modified for Brad Richardson. ‘Plug me in’ coach may be more appropriate for the versatile forward. 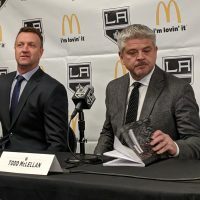 Last season he played just about every position among the Kings four offensive lines, including a few stints on the top line with center Anze Kopitar. Given his choice, Richardson says he’d rather be in the middle. 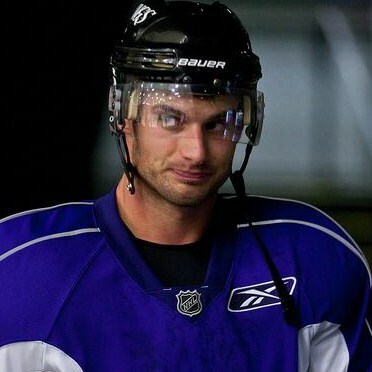 When he plays in Colorado though, like the Kings are tonight – he simply looks for quality minutes. Hockey players have long been known for performing well against their former teams and Richardson is no exception. 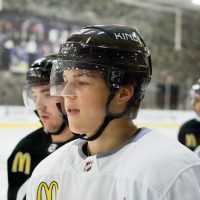 Originally selected by the Avs in the fifth round of the 2003 NHL Draft, he was traded to the Kings in 2008 for a second round pick. Since changing jerseys, he’s scored five goals in nine games against the Avs. 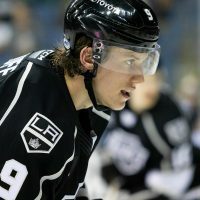 In 171 other games for the Kings, played outside of Colorado, he’s scored 13 goals (a conversion rate of 8%). 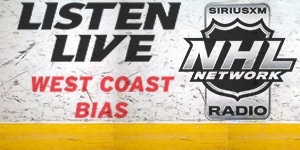 Further, in 244 total games played outside of Denver, Richardson has 27 NHL goals (a conversion rate of 11%). Conversely, in his 72 games at the Pepsi Center, he’s found the back of the net 10 times (14%). In two pre-season games this month, he’s been on the move again. For the first game, he was supposed to be on the left side of the second line in Phoenix. However, when Simon Gagne was out ill, coach Terry Murray moved Richardson to the top line for the split-squad game in LA the same night. Sunday night versus the Ducks, he started out on the fourth line. 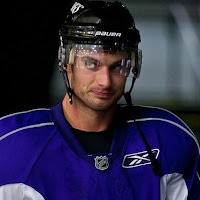 Yet, due to the ineffective play of Scott Parse as the third-line right wing, Richardson spent some time as his replacement during the second half of the game. 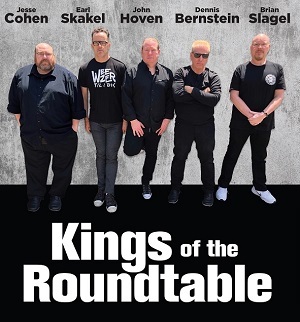 Although he sat out last night’s game in Kansas City, he returns to the line-up tonight – OF COURSE – as the Kings will play the Avalanche in Denver. He’s also back on the left side again, this time skating with Lewis and Trent Hunter. Is all of this moving around making it difficult to create some chemistry? 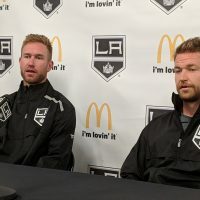 With a pretty intense competition in camp this year for the final few roster spots – ones that Richardson is fighting for – was he a little bit relieved when two of the Kings top prospects (Tyler Toffoli and Brandon Kozun) were recently cut from camp? So, is it that right wing spot on the third line he’s keeping an eye on? “I’d like to play on that third line, no doubt about it. But. where ever he’s going to use me, I always try to the best I can in that role,” Richardson said, referring to any possible plans coach Murray may emplore. And the 5-foot-11 forward just continues to plug away, without much regard for what may be around the corner. Scoring against the Avalanche usually isn’t one of them. He seems to have that one down pat. Earlier in camp, Murray had shared some comments on the role Richardson may play for the team, in an interview here. Below, there are also some additional links to recent and related articles. Either way, leave a comment down below – it’s easy!